LTI offers a complete range of software services, including business analysis, requirement definition, solution design, development, quality assurance, and maintenance under a project management umbrella that ensures quality and productivity. Our goal is to understand your business environment, processes, and culture in order to provide the solution that will be successful in your company. 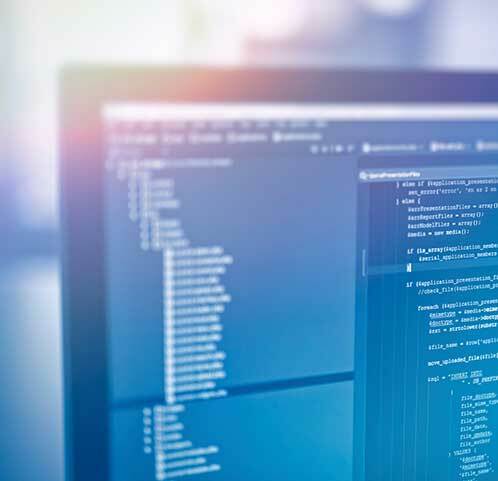 We specialize in Java and .NET development utilizing an agile approach to ensure projects delivered actually meet our clients’ needs and not just the specifications. With the average tenure of an LTI Software Engineer being over 8 years, we have the ability to retain our talent giving our clients access to earned domain knowledge year after year. LTI believes software can be used not just to solve a specific business problem, but also to transform the way business is done. With this in mind, our approach to providing software services starts with analysis and understanding of your business problem and domain. Building on that knowledge, our consultants will not only model the requirements and a design your new system but also provide the support and services to help re-engineer your business. This customer-centric mindset has given us a long history of implementing solutions that exceed our clients' expectations. LTI’s service offerings support the entire lifecycle of development for your business and may be utilized individually and integrated into your project team or as a complete outsourced solution to delivering your project. LTI has a commitment to quality in the services it provides to its clients. This is rooted in LTI’s “Pro People” philosophy. Quality is a product of the people, processes and tools that comprise a well-formed methodology for software engineering. A network of colleagues and an organization committed to their continued professional growth supports our development teams. LTI has embraced Six Sigma as the methodology that will assist it in sustaining and maximizing success in providing high quality, technical and professional services and solutions to clients. The application of Six Sigma methodologies to LTI’s core processes will help to ensure that its efforts are focused directly on addressing customer requirements and will continue to meet those requirements and exceed expectations. LTI’s Six Sigma implementation is driven by a thorough understanding of customer needs, statistical analyses, fact based business decisions, and increased focus upon managing, improving, and reinventing business processes. The LTI team has the ability to scale to meet the client demands from our staff of over 400 IT professionals. LTI can provide the management and equipment required, increasing the value to the client while decreasing startup time. Clients who utilize LTI’s Design & Development services are able to get the support needed without incurring any financial burdens associated with resources located on-site.